Jared Kushner's communications, particularly with foreign leaders, have been under scrutiny since the presidential campaign, and questions have been raised about his security clearance. Donald Trump denied any knowledge of Jared Kushner's unofficial communications. 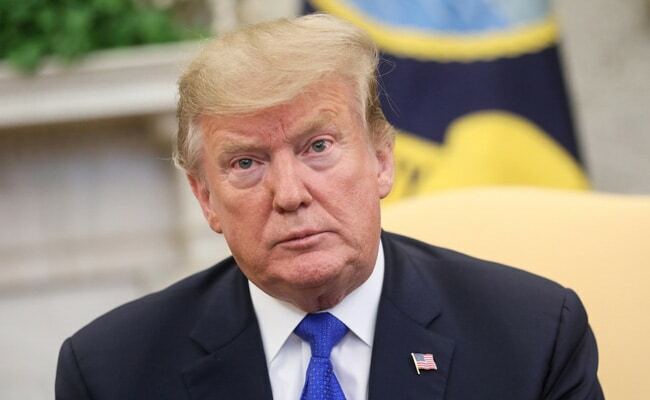 U.S. President Donald Trump on Friday said he knew nothing about son-in-law and senior adviser Jared Kushner's use of the WhatsApp encrypted messaging tool, a day after a top Democratic congressman pressed the White House for information on the issue. Elijah Cummings, chairman of the House of Representatives Oversight Committee, on Thursday asked the White House about Kushner's use of the Facebook Inc-owned messaging application as part of his government work. In a letter to the White House, seen by Reuters, Cummings said Kushner's lawyer Abbe Lowell had told lawmakers that Kushner used WhatsApp for official duties, a move that would violate current law prohibiting White House officials from using non-official electronic messaging accounts. "I know nothing about it. I've never heard that, I've never heard about it," the Republican president said. In his letter on Thursday, Cummings said Lowell also told Congress that Ivanka Trump - the president's daughter, Kushner's wife and also a top White House adviser - continued to use a personal email account for official business. That would also violate the Presidential Records Act. Lowell, in a reply to Cummings, denied telling lawmakers that Kushner had communicated through any app with foreign "leaders" or "officials" but said Kushner had used such apps for communicating with "some people," who were not specified. Lowell also denied commenting on Ivanka Trump's personal email account, saying the president's daughter "always forwards official business to her White House account." In the 2016 presidential race, Trump railed against his Democratic opponent, Hillary Clinton, for her use of a private email server while serving as secretary of state, inspiring chants at his rallies of "lock her up." Kushner's communications, particularly with foreign leaders, have been under scrutiny since the presidential campaign, and questions have been raised about his security clearance. Separately, the Washington Post reported that Democratic leaders of six House committees planned to call on several federal agencies to preserve information they have given Special Counsel Robert Mueller's team for its investigation into alleged Russian interference in the 2016 election. The request will go to the Department of Justice, the FBI and the White House counsel's office, among others, the Post said, citing unnamed congressional aides familiar with the plan. "If our committee must resort to issuing subpoenas, there should be no doubt about why," Cummings wrote. "This has nothing to do with presidential harassment and everything to do with unprecedented obstruction." Trump has called Mueller's probe a "witch hunt" and has blasted House Democrats' investigations, likening them to "presidential harassment." Russia has rejected the conclusion of U.S. intelligence agencies that it interfered in the 2016 election to help Trump's campaign.